First, my apologies for being a bit quiet this week. Work and family have been a priority. 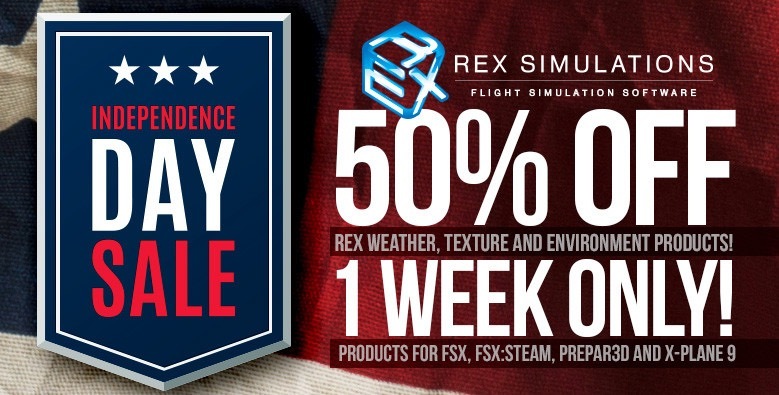 That said, readers know I’m a big fan of REX Studios, and use their Texture Direct and Soft Cloud products every time I fly. So I think it’s good news that they have a large 50% off sale running until July 5. Get ’em while they’re hot.